Crush garlic, onion & black pepper. Add in oyster sauce & lime juice. 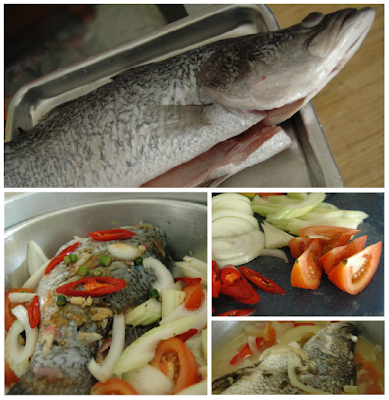 Rub all the ingredients onto fish, add in salt and a bit of sugar.